Mountain lion P22, subject of a film documentary.Photo by Miguel Ordenana. 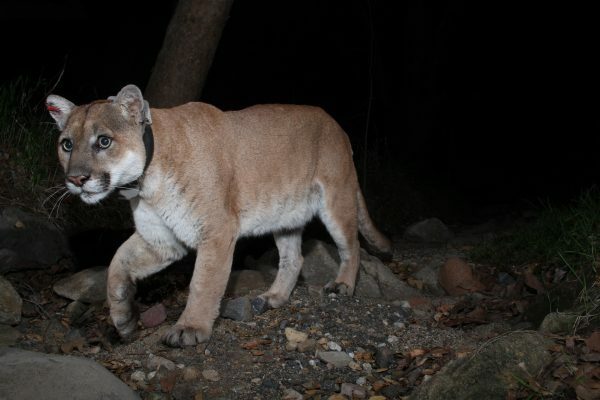 “The Cat That Changed America,” a documentary about a mountain lion coexisting in urban Los Angeles, will be shown by Laguna Greenbelt, Inc. Sunday, Nov. 12. The 3 p.m. screening takes place in fhe Forum Theater on the Festival of Arts grounds, 650 Laguna Canyon Road. Following the 75 minute film, local wildlife experts will discuss coexisting with local wildlife. It will include cast member Beth Pratt-Bergstrom of Save LA Cougars and Poison Free Malibu, Elisabeth Brown of Laguna Greenbelt and others, says a Greenbelt announcement. Tickets are $5 and should be purchased in advance at lagunagreenbelt.org. As a passionate home gardener and perpetual student of organic and sustainable farming practices, Gloria Broming turned a hobby into a business, which she will share with members of the Laguna Beach Business Club on Thursday, Nov. 16. The club meets for a 7:30 a.m. breakfast at Hotel Laguna, 425 S. Coast Highway. Clients of Broming’s Farm to Fork Garden Design include private homes, restaurants, and other businesses interested in edible landscaping. 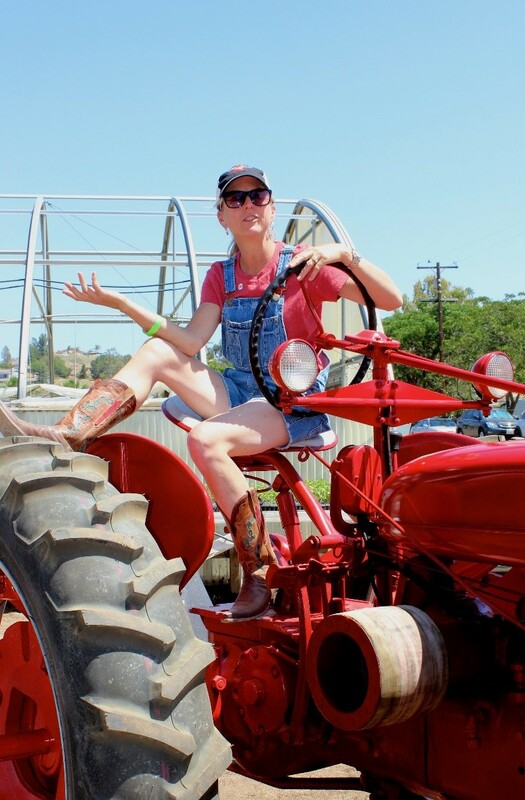 The Laguna Beach resident has established edible gardens with Transition Laguna Beach and at the Boys & Girls Club, Neighborhood Congregational Church and Glennwood House. Ralphs officials were to present a $43,800 check to Children’s Hospital Orange County this week, part of the reopening of the store, which has been remodeled while remaining open. The revamp includes a new Starbucks; improved produce, meat, floral, bakery and service deli departments; more natural and organic food selections; and a new waiting area for the pharmacy, says a company statement. 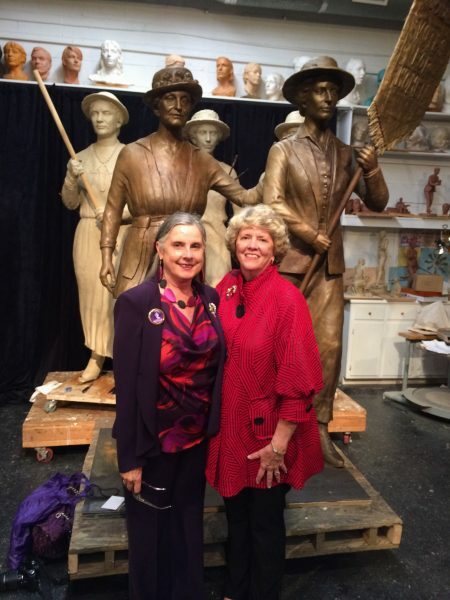 Women’s History Project members Pat Pierce, left, and Dr. Kimberly Salter, with statues of suffragists in Tennessee. The free presentation by the American Association of University Women is open to the public and will include information about Vision 2020, a collaboration whose goal is to register every woman who is eligible to vote. Another goal is to make Aug. 26, currently the annual Women’s Equality Day, a national holiday. Free parking is available. Contact Leah Vasquez 949 494-5787 or Rachelle Cano 818 307-7562 for more information. Health insurance counselors will provide health and drug comparison charts and conduct a cost analysis of healthcare insurance options at a free workshop Friday, Nov. 17. The Medicare open enrollment clinic takes place from 9:30 a.m. to 2:45 p.m. at the Laguna Beach Community & Susi Q Center, 380 Third St.
To RSVP for an appointment call 949 464-6645. Planning Commission members Ken Sadler and Sue Kempf, representatives from the Laguna Beach Chamber of Commerce, and city planner Anthony Viera invite prospective business owners to an Open for Business workshop Thursday, Nov. 16. The free 6:30 p.m. session at the Laguna Beach Community Center, 380 Third St., provides information about doing business in Laguna Beach. More info: contact Viera at 949 497-0398. Sally’s Fund, the non-profit under city contract to provide transportation and support to the frail elderly in Laguna Beach, is looking for a part time manager. The organization based at the Suzi Q Senior/ Community Center is hoping to woo a local resident. To review a complete job description, go to SallysFund.org or contact board member Bonnie Drury, 949 300-2894. 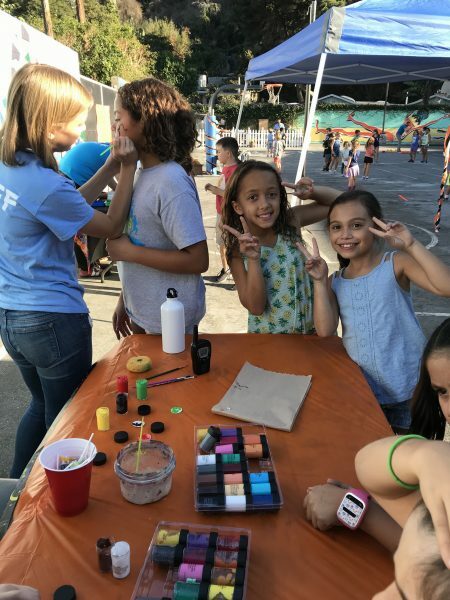 Staff member Caitlin Renner with club Members, from left, Ajah Ambrose, Madison Rodriguez and Sophia Brown getting their faces painted. Crafts, games and mural projects wrapped in a Halloween theme engaged families at the Boys and Girls Club “Lights on Afterschool” event last month. “There’s no reason that learning should stop at 3 p.m.,” Pam Estes, the club’s chief executive officer, said in a statement.